Valentine’s Day is really all about the kids. Forget the roses, the dinner, and the chocolates (ok, maybe not the chocolates). 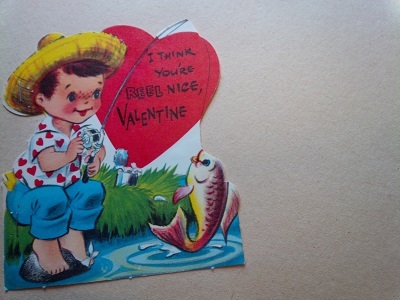 When I think about Valentine’s Day, I can still see that paper lunch bag with the decorated doily heart glued to the front, and all of those (now vintage!) corny Valentine’s wishes from my schoolmates stuffed inside. I couldn’t wait to get home and look through them. Will You “BEE” Mine? Say Valentine “OWL” Be Yours. I’m “BATTY” About You! This morning, I found some of Lonny’s prized Valentine’s Day cards. Today, there are lots of kids with special hearts like Lonny spending their day at SickKids and other hospitals. Let’s give them something to look forward to. Let’s send them to camp this summer. This Valentine’s Day, please give with all your heart. Donate Now.